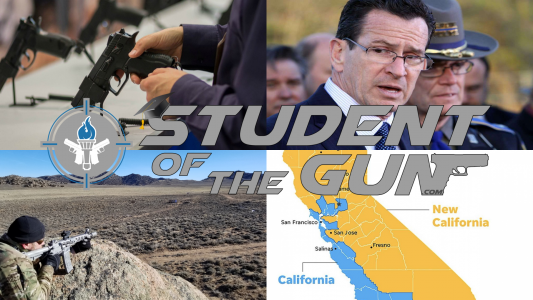 Saratoga, WY | Student of the Gun HQ- This week on Student of the Gun Radio we talked a lot about Gun Bans. 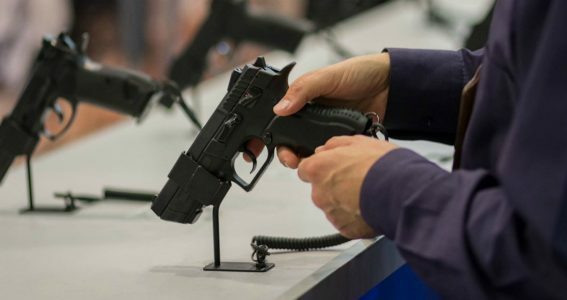 In one case the incoming Virginia Governor is attempting to put a Ban on private gun sales. 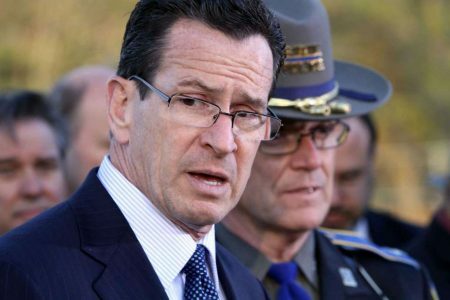 Meanwhile, in New England, they are demanding that the citizens turn their property in to the state. Furthermore, on the Grad Programs, we talked about short barreled rifles and their accuracy, training while travelling. Last, we covered this whole New California debacle. How does the incoming Virginia Governor plan to ban private gun sales? More importantly, what the hell is going one in the home of George Washington and Thomas Jefferson? Also, our SWAT Fuel Warrior of the Week has a question about the Use of Force Continuum. What does it mean and how does it apply to personal self-defense. Professor Paul is happy to answer that question in detail. 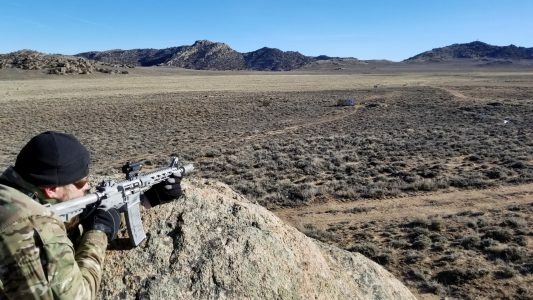 During our Quiet Time Moment from SilencerShop.com, we consider the value of blocking out some quiet time for yourself. Seems like many of our friends in the east and south are experiencing unexpected at home time. Make the most of it. Are short barreled rifles or rifle caliber pistols practical or are they merely cool range toys? The topic of rifle caliber pistols and other “firearms” with short barrels has come up again. Some folks feel that they have no practical application. What has been the experience of our staff? During our Fighting Fitness segment from SWAT Fuel, Jarrad will offer some detailed and thoughtful advice regarding strength training when you are on the road and traveling. You can continue starting strength and travel. 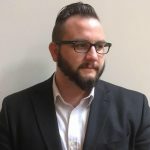 What new rules and regulations do the socialists in Canada have in store? Well, you might want to think twice before attempting to bring a pocket knife into the Great White North. Also, the Washington State AG has plans to further restrict the liberties of the citizens of that state. Ep. 721 Pt. 3 – New California Republic, Fantasy or Reality? 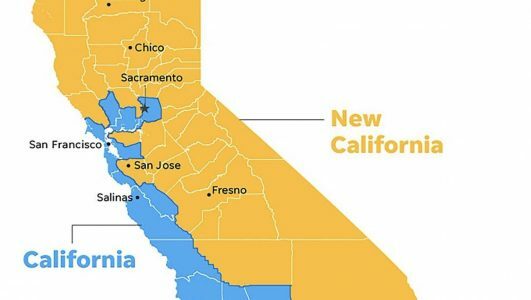 A New California Republic? Many residents of the productive rural counties of California are pushing for a new, independent state. After all, the precedent was set with West Virginia. Will the slave masters in Sacramento allow it? Will the people of the rural counties have the fortitude to carry on? Also, we will have a bit of fun at the expense of idiots. Many idiots have outed themselves and removed all doubt by leaving messages on the Spike’s Tactical voicemail. Fear not, we have motivational music for you as well. What would you say to a man who say the U.S. Constitution is outdated and needs to be changed? What if a person told you that a gun or baseball bat was not as dangerous as a gun? We have some helpful suggestions that might allow you to educate the ignorant. Also, SOTG offers education and entertainment through on-demand video material, online articles, books, DVDs and live-training events. 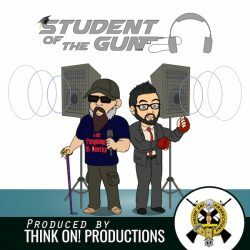 In conclusion, sometimes deadly serious, sometimes just for fun, Student of the Gun will always strive to educate and entertain their viewers while offering them an insider’s look at the world of firearms. 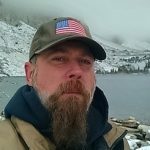 Furthermore, Mr. Markel has been teaching safe and effective firearms handling to students young and old for decades and has worked actively with the 4-H Shooting Sports program. Paul holds numerous instructor certifications in multiple disciplines and a Bachelor’s degree in conflict resolution. Therefore, Paul is and will remain a dedicated Student of the Gun. Additionally, Jarrad is skilled in Jujitsu, Judo, Muay Thai, Sambo, the Way of the Fighting Pistol and Fighting Rifle, Jarrad is a well-rounded, tactical athlete with several professional MMA & Boxing fights under his belt. In addition to being a brute, Jarrad has brains as well. Due to years of experience in producing, directing, and distributing all manner of digital media Jarrad is the C.O.O. at Student of the Gun. As a certified email marketing specialist, Markel has turned customers into raving fans. Therefore, building a community of like-minded individuals by leveraging marketing automation to scale the human touch in his businesses.